Here's a poster for college that's even a bit romantic without being overly cheesy, of course. Fun dorm stuff and unique posters for college are the sort of college essentials that you should seek out. When you're decorating your dorm, add cool dorm supplies and distinctive dorm posters in order to make your living space feel like your own personal new home. 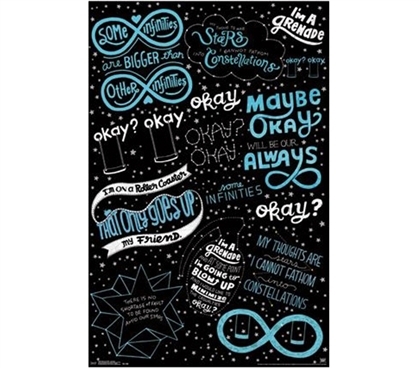 This college poster also has artistic typography and design, making it a great visual to add to your college decor. 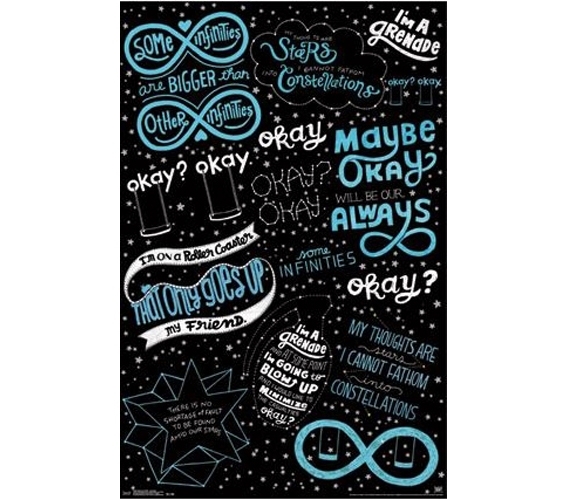 Comforters for college and the rest of your dorm bedding aren't the only essentials for dorms that can add to decor and serve a main function; posters for college of course make your room more visually appealing, they can also be a bit thought-provoking, as in the case of this Fault in Our Stars - Love Note Poster.